Slant designs are commonly used in magazine cover designs and layouts for arts and fashion related content. 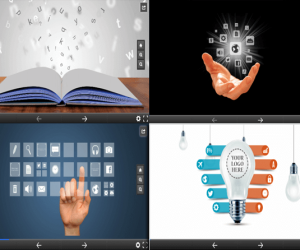 We have for you an Animated Magazine PowerPoint Template which mimics the same style for making stylish looking presentations. 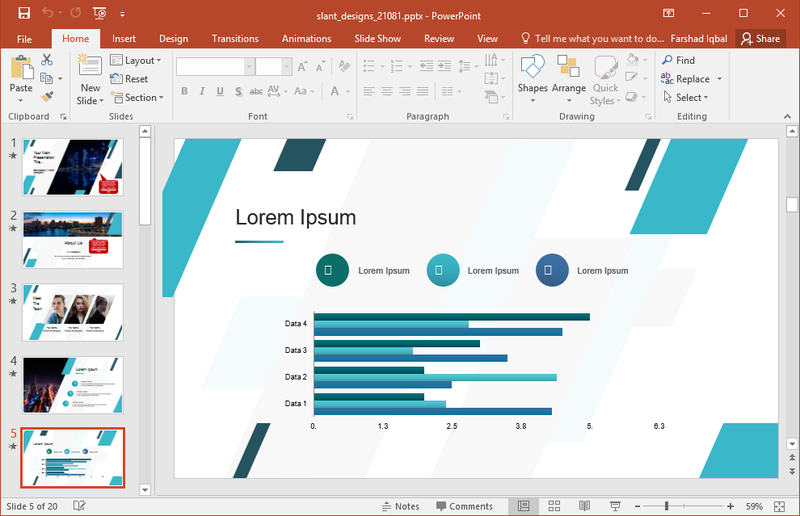 This animated template contains sample slides with slanting shape elements with timelines, graphs, diagrams, comparisons, infographics and sample images that can be replaced with your own. 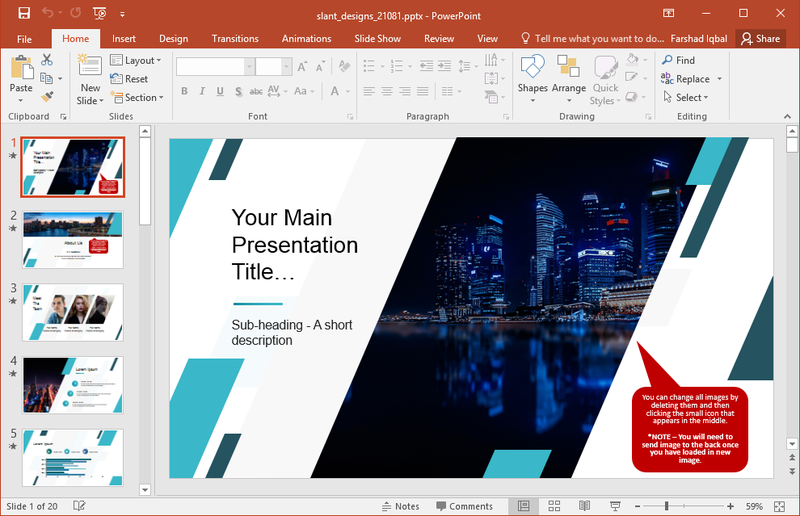 You can use this template for not only presentations about fashion, arts and photography but also for business, marketing, finance and other types of presentations. Even pitch decks. 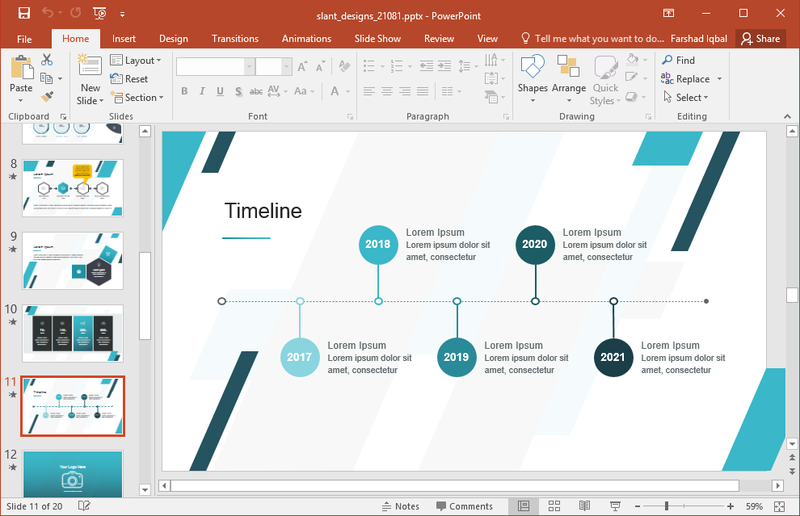 You will find a variety of slide designs in this template which can be used for creating custom diagrams, timelines and roadmaps, infographics, picture slides and the like. 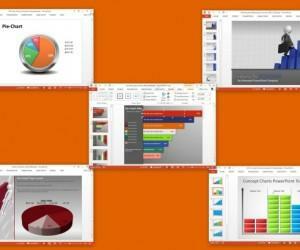 You can also insert tables, charts and clipart or use the icons within the template to design your slides. The images you add in the given placeholders will be revealed with the same slant design, making them look more visually appealing. 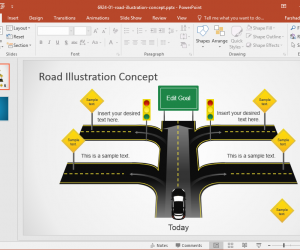 You can refer to the instructions given within this template to learn how to integrate content to existing placeholders. 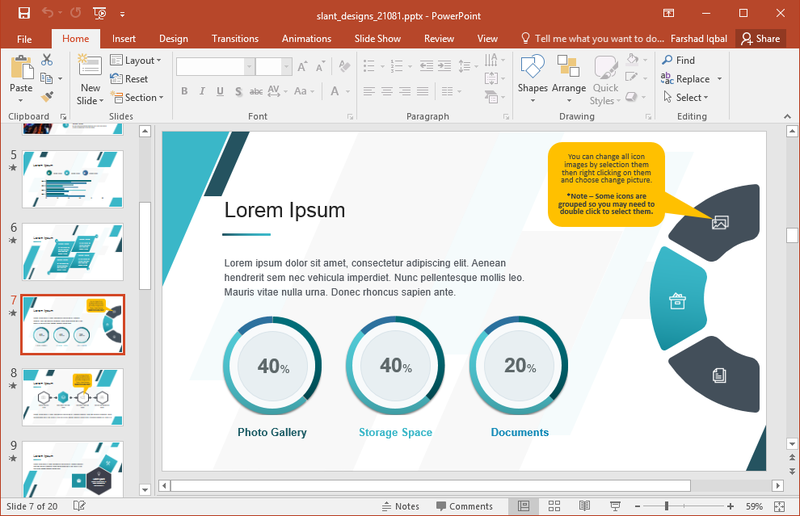 If you’re an experienced PowerPoint user, you might not even need these instructions but if you’re a newbie, just read the tooltips to quickly get an idea about how to best edit the animated slides. 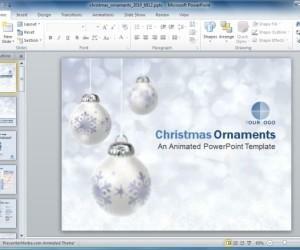 The template also comes with an icon set available in a single slide. these icons can help you design your own slides. 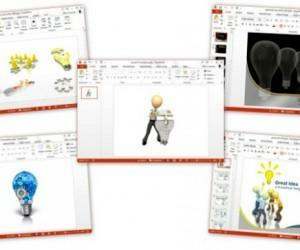 The clipart given in this single slide can be freely copied and recolored to suit your needs. This magazine design PowerPoint template is compatible with both Mac and PC versions of PowerPoint. 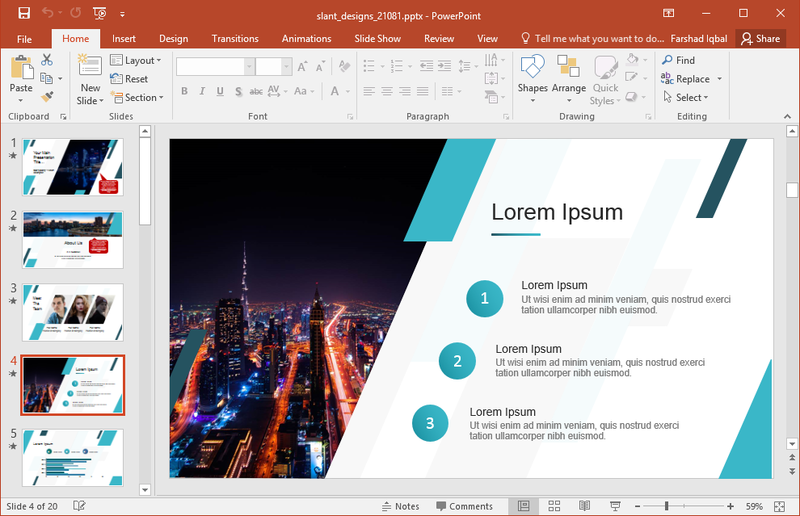 Since this is a PPTX template, it works with PowerPoint 2007 and later editions. A widescreen and standard version is separately available for this template from the developer’s website.